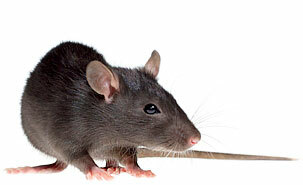 However, this new trend places children at risk of contracting Rat bite fever (RBF). Despite its name, no biting is necessary as the infection can be contracted by a simple scratch or even a kiss from the pet. RBF is a systemic infection that carries a mortality rate of 7 to 10 percent if untreated. In Canada, one adult and two paediatric cases of RBF have been reported since 2000. However, between January 2006 and September 2007, the CHU Sainte-Justine Hospital treated one confirmed case and two suspected cases. “At the Division of Infectious Diseases, we were puzzled and concerned faced with such a high concentration of cases,” says Karine Khatchadourian, a Université de Montréal paediatrics resident who recently published her insights into RBF in Paediatrics & Child Health. The children treated at CHU Sainte-Justine, a boy and two girls, all had a wide range of symptoms: high fever, abdominal pain, vomiting, severe headaches, diarrhea, stiffness and pain in the neck, wrists, hips, knees, as well as hemorrhagic pustules on the hands and feet. The three children were cured with a simple penicillin treatment. “Paediatricians should ask the parents about pets,” says Khatchadourian. “And in the case of rats, they should explain the risks.” She questions whether pet stores and the SPCA should even sell the rodents. In her opinion, parents should stick to cats and dogs and steer clear of rats. French version: Attention au rat qui mord!